We Almost Went to the Beach – Instead We Read Beach Related Books | What is ML Reading? Thinking ML and I might take a trip to the coast for Labor Day, I checked out some ocean related books. Luckily, I never told her about my idea. With the start of school, we needed a low-key weekend. However, I knew with three days off from school, ML would be begging to have friends over. So I decided a sleepover on Friday night would be the ticket. Last night I showed ML and Louise a stack of ten books. Allowing them to each pick two. I laughed when I saw they chose all the ocean related books. 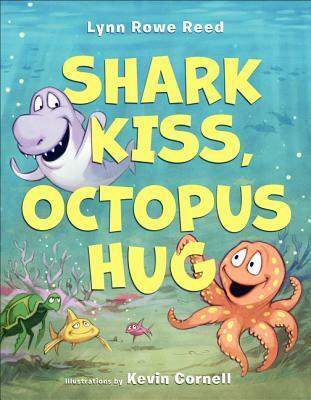 Shark Kiss, Octopus Hug by Lynn Rowe Reed and illustrated by Kevin Cornell – A rollicking story about a shark wanting a hug and an octopus wanting a kiss. No matter what these sea animals try, the people on the beach aren’t interested in hugging and kissing them. The book ends with Octopus receiving a kiss and Shark being hugged. Eight arms wrap themselves around Shark to comfort him resulting in a kiss for Octopus. I got a hug and kiss at the end of the book too. 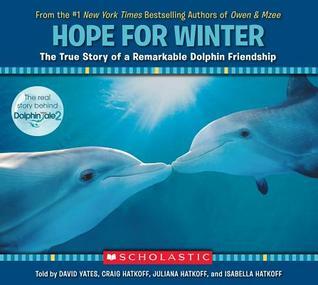 Hope for Winter: The True Story of a Remarkable Dolphin Friendship by David Yates, Craig Hatkoff, Juliana Hatkoff and Isabelle Hatkoff – This photographic tale of two dolphins’ friendship entranced these animal-loving, science minded girls. They recognized the story of Winter and knew there was a movie too. Guess what I just added to my Netflix queue? We’ll have to invite Louise over for a movie night when it arrives. 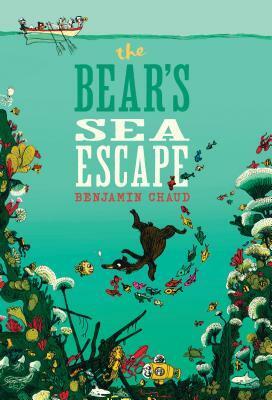 The Bear’s Sea Escape by Benjamin Chaud – We didn’t read this choice. The girls were getting restless… acting like snakes inside their sleeping bags, Near lights out, I showed the girls how they could find the baby bear in each picture. Thought it would be a way to calm them. Not so much. Instead they were giggling about the boat with the swimming pool, bedrooms, exercise room, and more. Safe to say they’ve never been on a cruise. 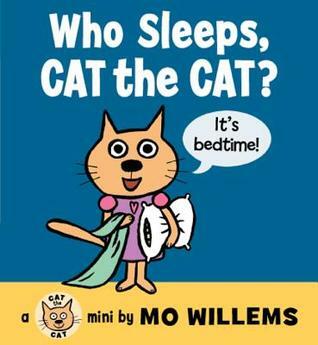 I picked one too… Who Sleeps, Cat the Cat? I couldn’t resist reading this new Mo Willems book knowing the girls would howl at page nine. Cat let’s Horse the Horse know it’s time to sleep. His response is “I’m on it!” And he is. He’s on the potty. There was howling. Then, ML noticed Cat the Cat’s head was turned and she was hiding her eyes. So they laughed even more. PS: Don’t tell ML, but Louise’s mom and I are planning a picnic and swimming for Sunday afternoon. Watermelon and the pool. A perfect way to end summer… if you aren’t at the beach. 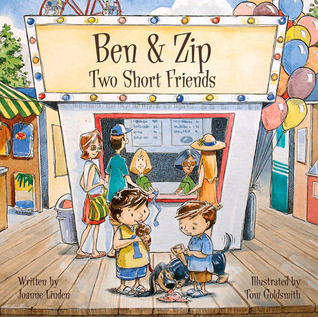 This entry was posted in Board Book, Nonfiction Book, Picture Book and tagged Ben & Zip: Two Short Friends, Benjamin Chaud, Craig Hatkoff, David Yates, Isabelle Hatkoff, Joanne Linden, Juliana Hatkoff, Kevin Cornell, Lynne Rowe Reed, Mo Willems, Shark Kiss Octopus Hug, The Bear's Sea Escape, Tom Goldsmith, Who Sleeps Cat the Cat? by mlreads. Bookmark the permalink. We will definitely want to do that sometime. Probably not Monday, we’re having a “Bugs in My Hair” day.